Urgent for Care: Can Missouri's Poorest County Keep Its Hospital Alive? No one at the hospital in Fulton, Missouri (population 12,790) had ever heard of a management consultant named Jorge Perez until he showed up at its potluck in September. The potluck was meant to be a goodbye party. 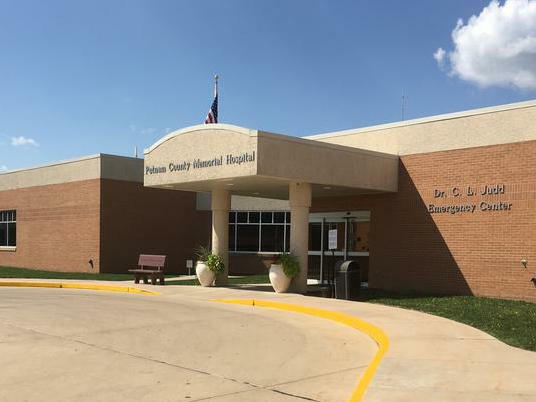 Fulton Medical Center, the only hospital in rural Callaway County, Missouri, was scheduled to close by September 22. Instead, Perez came and shared some good news: He’d just bought the hospital and planned to keep it open. He spoke four days later to a packed city council chambers in Fulton. “We travel all over the country and we see the same thing we see here in Fulton: a town that’s fighting to keep their hospital,” Perez told the crowd while announcing his takeover of the hospital. He received a standing ovation. Rural hospitals such as Fulton Medical serve as a lifeline for health care and jobs in small towns but face dwindling revenues. Had it closed, Fulton Medical Center would have been the 20th rural hospital in the country to shutter in just the past two years. Nearly 700 of the nation's rural hospitals, about one-third of the facilities, are at risk of closing. Yet despite their notoriously slim operating margins, Perez has purchased close to 20 rural hospitals in recent years in Missouri, Kansas, Oklahoma, Florida and elsewhere. By next year, he said he wants to own 50 of them. 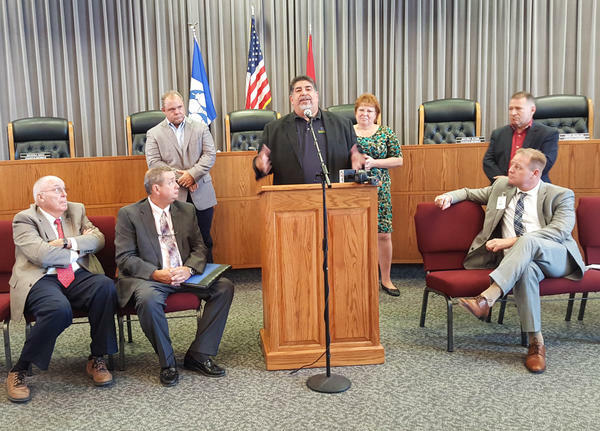 “Part of our secret sauce is that we will bring in new services that didn’t exist before,” Perez said in an interview in the still-crowded room following the event in Fulton. But a report issued by the Missouri State Auditor in August raises serious questions about how one of Perez’s companies is running another Missouri hospital: Putnam County Memorial in Unionville. And an investigation by Side Effects Public Media, KCUR and KBIA uncovered a pattern of controversial businesses practices by management companies with ties to Perez, which can lead to big profits for the management companies but high risks for vulnerable hospitals. In September 2016, a Florida-based management company, Hospital Partners Inc., took over operations of the 25-bed critical access hospital in Unionville. Jorge Perez co-owns Hospital Partners along with the company’s president, David Byrns. Byrns became Putnam County Memorial’s CEO. Within days, a separate company called Hospital Laboratory Partners, which also has ties to Perez, was incorporated in Florida and started billing insurance companies for laboratory work through the Putnam County hospital, including lab work not performed at the hospital. Here’s how this works. Many hospitals have laboratories to test specimens, such as blood or urine samples. Some highly specialized tests are sent to specialized reference laboratories but can still be billed to insurance via the hospital. Putnam started acting as a reference lab, and billing for tests, including many performed elsewhere. This may be allowed under certain circumstances under Medicare rules. This had dramatic effects on the hospital’s finances. In six months, Putnam Memorial generated $92 million in revenue. By comparison, the hospital had generated just $7.5 million the year before. The problem was that little of that revenue was staying with the hospital. That was one of the findings in Missouri auditor Nicole Galloway’s August audit. “It appears that Putnam County Memorial Hospital is being used as a shell company for questionable lab activity that's occurring across the country,” Galloway said in an interview after releasing the audit. The scathing report questioned the propriety of the lab billings. It noted 80 percent of the revenue went to private lab companies —some of them with ties to Perez — such as Hospital Laboratory Partners. “Based on our review of hospital accounts, the vast majority of laboratory billings are for out-of-state lab activity for individuals who are not patients of hospital physicians,” Galloway said. A public records request of the hospital by Side Effects revealed between November 2016 and March 2017, Putnam County Memorial paid over $26 million to Hospital Laboratory Partners alone. Galloway also noted that during the same time period, Putnam Memorial contracted with a billing company to handle its billing and that company received 6 percent of the revenue generated by the lab program. The public records request showed Florida-based software and billings company Empower H.I.S. LLC was paid $11.8 million by the hospital between November 2016 and March 2017. Empower was registered in 2014 by Perez. Galloway turned her findings over to criminal authorities, including the FBI. But most of all, he defended the practice as a desperately-needed lifeline for struggling community hospitals. “The only other opportunity this hospital had to survive was to put [together] a lab outreach program,” Perez said of Putnam County Memorial. Lab billing programs can be money makers for small rural hospitals such as Putnam County Memorial because insurance companies typically cut small hospitals a deal, paying them at higher rates than other hospitals. Following the release of Galloways’ audit, Hospital Partners issued a statement saying that since taking over the hospital’s operations, it had paid off $6 million of the hospital’s debts. Michigan health care attorney Brian Bauer, a shareholder with the health care law firm Hall Render, has seen several similar lab billing arrangements in the past two years. He says that while they may be legal, there’s a catch. When insurance companies make these deals with rural hospitals, he said, they aren’t envisioning a high-volume lab program, which can generate tens of millions of dollars a year. “It’s not uncommon to have one or more of the insurance companies come back and say this is not what we agreed to,” Bauer said. And that’s a real risk for Putnam County. If an insurance company tries to recoup its money, the hospital itself may be on the hook because it did the billing. And small hospitals like Putnam may not have the resources to repay what’s owed. In fact, Blue Cross & Blue Shield of Mississippi is suing a rural hospital in that state — as well as several lab companies — for nearly $34 million over a similar lab billing program. The insurer says the scheme was used to disguise fraudulent claims and wants the hospital to reimburse it. In Putnam County, less than 15 percent of the laboratory proceeds stayed with the hospital. So while $6 million of the hospital’s debt may have been paid off since Hospital Partners took over, there’s a lot more money on the line if insurers decide to sue to get their money back. That could jeopardize the hospital’s ability to stay open. And according to Galloway’s audit report, at least two insurance companies have already flagged Putnam County Memorial Hospital’s lab billing arrangement. Before Perez came along, Putnam Memorial had been struggling. Like other rural hospitals, its patient base was mostly insured by Medicare and Medicaid, and the hospital couldn’t bring in enough revenue to keep up with costs. But the hospital has been part of this community since 1963 and the county rallied to keep it alive. In 2012, the county passed a $7.6 million municipal bond issue to expand and renovate the hospital. If the hospital closes, the county and its taxpayers will be on the hook to pay off that debt, another reminder of the high stakes of keeping the hospital open. Pittman said there are people alive today who would not be if it weren’t for the hospital. Losing it, he said, would be devastating. But the hospital’s board may not have understood what it was getting into with Jorge Perez. The auditor’s report was critical of the board, saying it had not exercised due diligence in handing over control of the hospital to Perez’s management company. But like many rural hospitals, most of the members of the hospital’s board are laypeople — retired educators, farmers, even an undertaker. And Pittman defends them. Pittman wants to believe in the new management company that’s calling the shots, but he’s not sure he understands its approach. “Laboratories, laboratories, laboratories. That’s what I hear,” the 80-something mayor said. Jorge Perez claims there are “thousands of hospitals around the country” running lab billing programs similar to the one he initiated in Putnam County. In fact, Medicare regulations do allow critical access hospitals to bill for laboratory tests done for non-patients, said Marc Hartstein, a former Medicare official with expertise in government billing and payment regulations. “So on its face, there’s nothing wrong with that,” he said. But, he added, the situation with Putnam County Memorial Hospital raises a lot of questions. “How is it that after a change of ownership, suddenly there have been lots of referrals for laboratory tests to this one small hospital in rural Missouri, which you would not expect would be able to perform this many laboratory tests?” Hartstein asks. Eric Shell, a healthcare consultant with Stroudwater Associates in Portland, Maine, said that he’s been approached by five or six hospitals that have asked him about entering into similar lab billing arrangements. He cautioned them against it. “This reference lab comes in, they promise they’re going to provide all these reference lab tests and they can generate hundreds of thousands of dollars, if not more, on these tests,” Shell said, describing the pitch. Other rural hospitals have come to grief after attempting similar lab billing arrangements. Like Putnam County Memorial Hospital, Campbellton-Graceville Hospital in Graceville, Florida was a financially distressed, 25-bed critical access hospital on the brink of closing when it turned its operations over to a private management company, People’s Choice Hospital LLC. The hospital closed in June after filing for Chapter 11 bankruptcy. 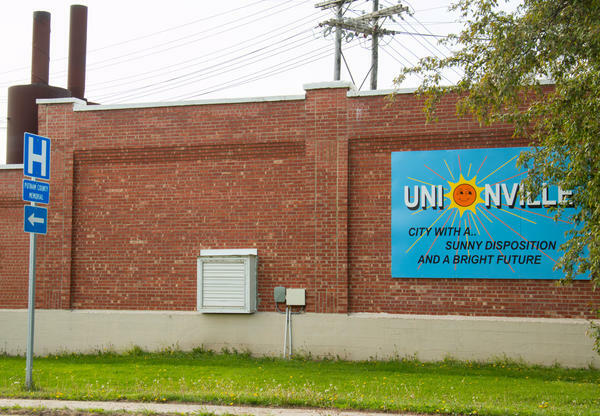 It sued People’s Choice, claiming it entered into lab billing contracts that weren’t approved by the hospital’s board and improperly directed the hospital to wire transfer $1.2 million to People’s Choice during a 45-day period. Earlier this year, People’s Choice briefly took over management of another small hospital, Newman Memorial in Shattuck, Oklahoma. That arrangement, which included a lab billing program, lasted only a matter of months before the hospital parted ways with People’s Choice. Jorge Perez and his business partner David Byrns, who served as CEO at Putnam Memorial in Missouri until this fall, both have ties to People’s Choice and the hospital in Graceville, Florida. People’s Choice contracted with a company Perez owned, Empower H.I.S. LLC, to handle Campbellton-Graceville Hospital’s software and billing services. And the hospital’s attorney, Michelle Blankenship Jordan, said People’s Choice referenced Jorge Perez as an employee. Perez denies he was an employee of People’s Choice and said he was actually the one who blew the whistle on the company. But People’s Choice appointed him CEO of the Campbellton-Graceville Hospital for a time. And later, the hospital’s board sought to deny Perez and other People’s Choice executives signatory access to the hospital’s bank accounts. Byrns also played a role in People’s Choice’s takeover of Campbellton-Graceville. Blankenship Jordan, the hospital’s attorney, said Byrns approached the hospital on behalf of People’s Choice. “He was known as ‘Cowboy,’” Jordan said. Byrns has a troubled history with hospital management. He was CEO of a company called Frontier Hospitals that took over management of a struggling 25-bed hospital in Louisiana in 2011. That deal went south after the hospital evicted Frontier and obtained a judgment for $200,000. The Louisiana hospital later pressed criminal charges against Byrns in Calcasieu Parish, Louisiana for allegedly altering a $30,000 check from the hospital to read $130,000. The hospital’s attorney, Jennifer Jones, said the forged amount was later repaid. The criminal charges have since been dropped, according to the parish’s public records administrator. Back in Putnam County Missouri, Missouri state auditor Galloway also had harsh words for Byrns, criticizing him for using his position as CEO to benefit himself and Hospital Partners, the management company he and Perez run. In addition to paying himself a $200,000 salary without board approval, Galloway said, he paid more than $700,000 in fees to Hospital Partners in little more than six months. In addition, she said, he expensed the hospital at least $5,000 for alcohol, cigarettes, car washes and golf outings. Perez claimed he was merely an investor in Hospital Partners, leaving the day-to-day operations to Byrns, whom he called “a super guy.” In September, Perez said he would be replacing Byrns as CEO of Putnam County Memorial Hospital but keeping him on as a consultant. This story was produced as part of a collaboration between KCUR, KBIA and Side Effects Public Media. Emma Brown, Ryan Famuliner, James Gordon and Nathan Lawrence contributed reporting. Copyright 2018 Side Effects Public Media. To see more, visit Side Effects Public Media. A battle royale has erupted in tiny Unionville, Missouri, over the town’s endangered community hospital. Trustees of Putnam County Memorial Hospital in the north central community are trying to get rid of the company that took over the ailing institution in 2016 and then ran more than $90 million in questionable lab billings through the hospital. 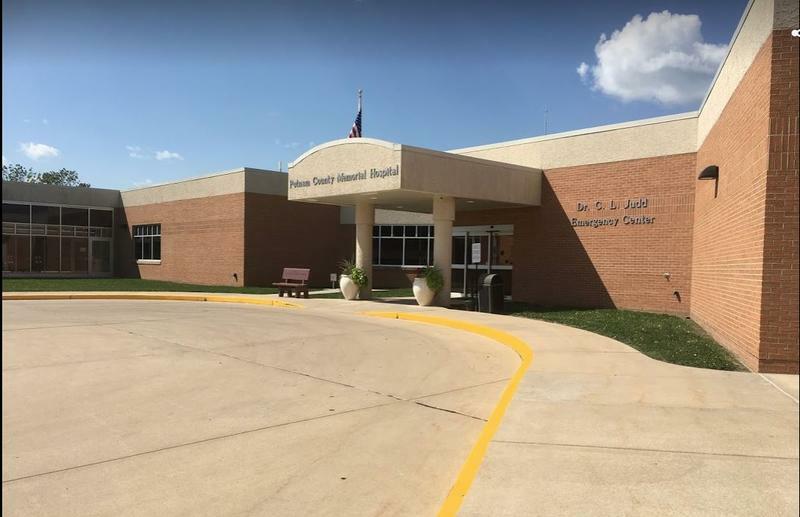 As he fights to retain control of Putnam County Memorial Hospital in Unionville, Missouri, Jorge Perez’s woes continue to pile up at other rural hospitals where he was once hailed as a hero. Last month, in the second of a three-part series, CBS News aired a piece about Empower, a Perez-run company whose affiliates have been involved in many of the rural hospital takeovers orchestrated by Perez and his associates. Millersburg, Ohio is a 700-mile drive from Unionville, Missouri, so it’s an unlikely place for a Unionville resident to schedule a medical procedure. That is, unless they’re paying cash. It was worth it for Truman, a Mennonite farmer who lives just outside of Unionville. 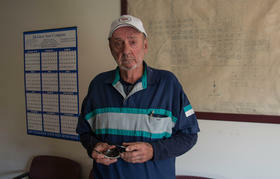 "The best price I could get around here, I would still save $3000 to $4000 [by] going to Ohio," he recalls.